The Trust Maze: How Trusting Were Our Visitors? 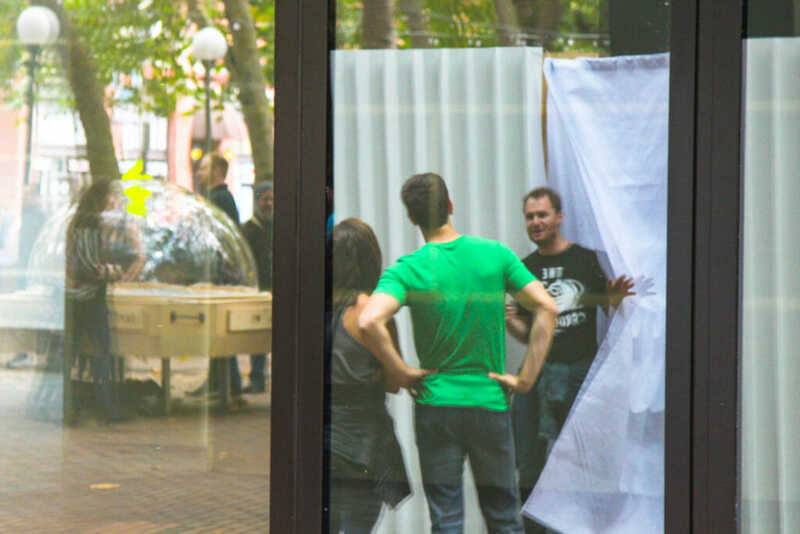 The installation was designed to explore each individual’s trust of their fellow human and tests their willingness to provide trustworthy information themselves. Each user will be confronted with two simple decisions: 1) do I trust the information provided by the public? and, 2) will I offer truthful information myself? Our installation is a simplified maze comprised of two identical pathways and a directional arrow that can be toggled between either path. Once permitted into the installation, users will first view the arrow prior to selecting which direction to proceed. One pathway leads to the exit of the installation and the other is a dead end. After successfully navigating the maze, each user will have the ability to toggle the directional arrow for the next user before exiting. 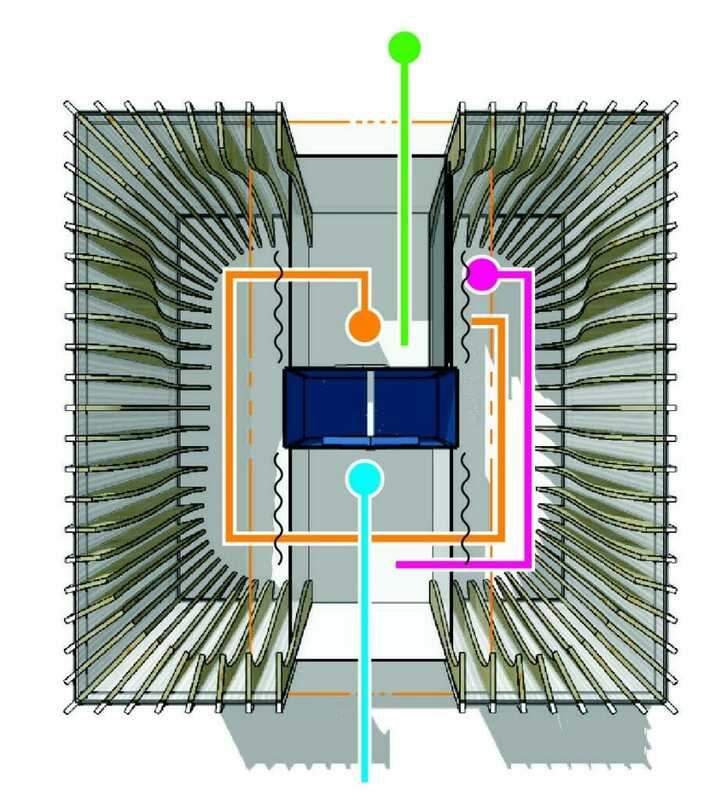 1 (blue line): You, the visitor, enters the Trust Maze. On the wall in front of you is an arrow and the following explanation… ‘One path leads to the exit, the other path is a dead end. The last person to navigate this maze has decided which direction the arrow is currently pointing. Do you trust that they wish to help you or deceive you? This is your decision to make. expecting freedom, but instead, you are met with a solid wall, explaining that this is not the way out. 3 (orange line): You make your exit via the correct path, and now find yourself in the exit room. On the wall in front of you is a lever that controls the arrow you saw in the first room when you entered the maze. You are now tasked with determining the arrow’s direction for the next visitor. Do you lead them toward the exit? Or down the wrong path? This is your decision to make. 4 (green line): You exit the Trust Maze. The Truth is in the Data! 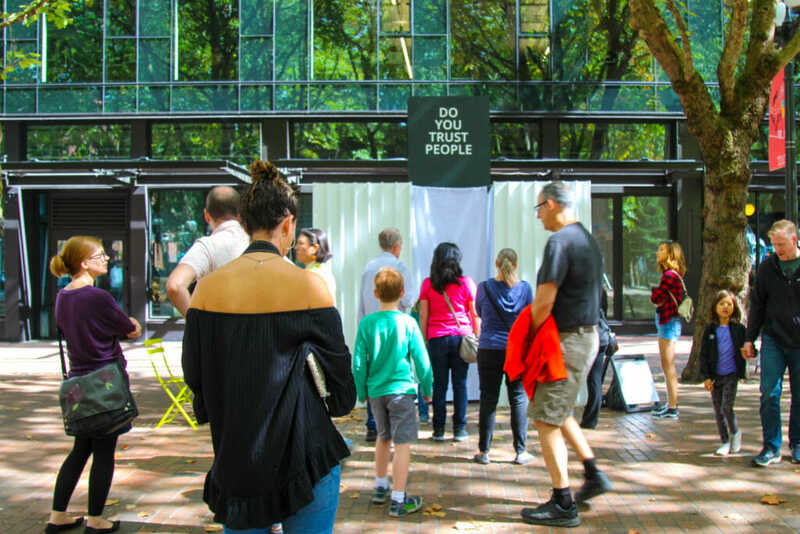 During the duration of the Seattle Design Festivals Block Party, September 8-9, 2018 CLARK | BARNES staffed the booth and collected data on participants that completed The Trust Maze. 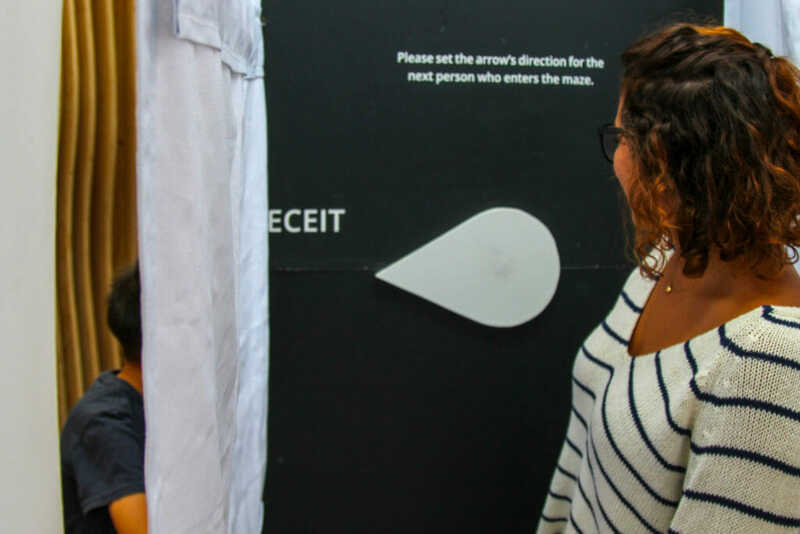 What was collected was: If the participant was Male or Female; If the arrow was pointing towards the correct or incorrect direction on entry; If the participant trusted the direction of that arrow; and the direction of the arrow when the left the installation. Through this information, we were able to glean some interesting information on just how trusting the participants were of each other! 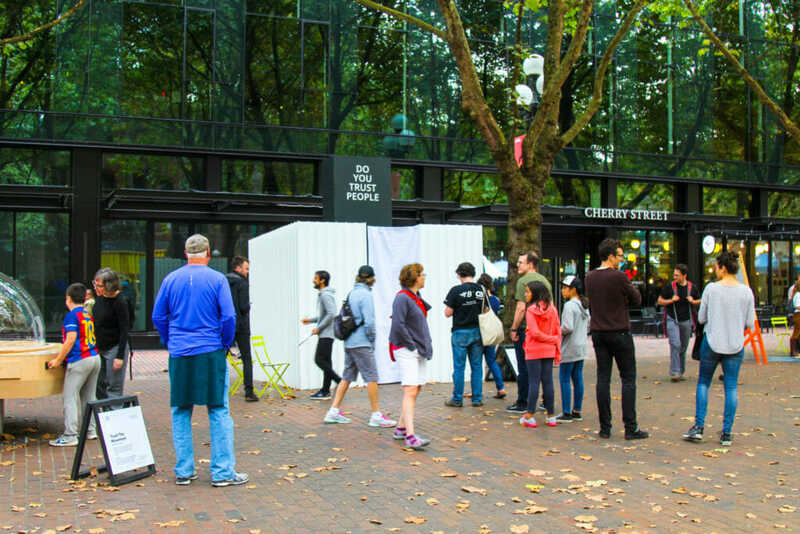 Throughout the course of the Block Party, there were 1,500 people that passed through The Trust Maze. In our sample size of 700 people, 55% were Women and 45% were Men. Interestingly, women were far more likely to trust the arrow with 88% following the arrow on entry while only 66% of men trusted the arrow for accurate information. However, women set the arrow to Deceit at a rate of 40% while men only set it that direction 30% of the time. So although women were significantly more trusting of the arrow (22% more so than men) they were also 5% MORE likely to deceive the next person than a male counterpart! Support the Festival & Design in Public! 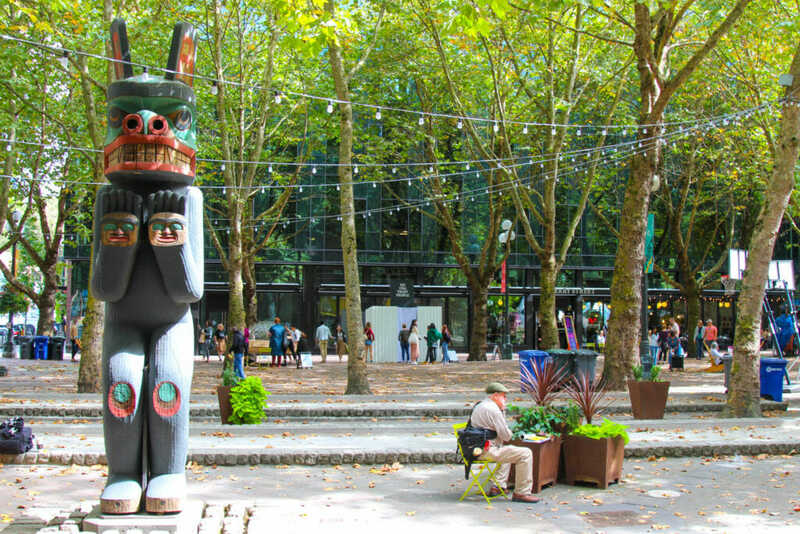 We would like to thank everyone who came down to support the 2018 Seattle Design Festival, remember there are events all around town until September 21! 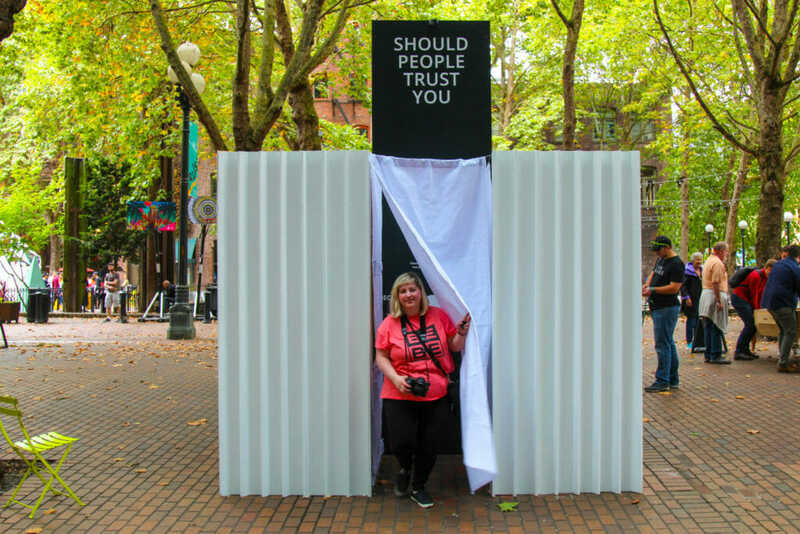 If you missed the chance to experience The Trust Maze during the Block Party, have no fear. 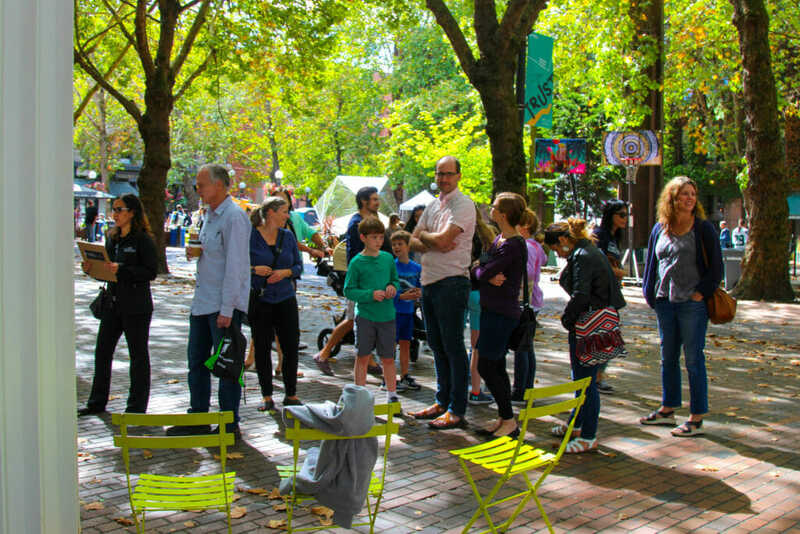 Our installation was selected to remain in Occidental Square through the end of September, so take your family or friends and see how much you trust each other!